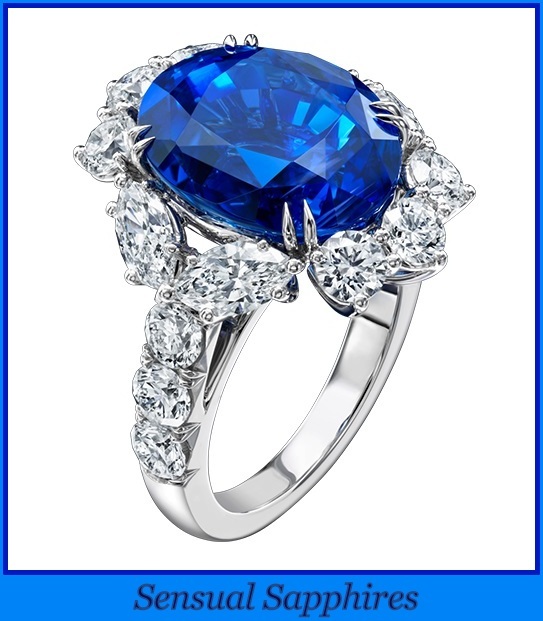 This beautiful 18k white gold ring, features round brilliant cut white diamonds of F color, VS2 clarity, with excellent cut and brilliance, weighing 1.95 carats total with 1 oval cut blue sapphire, of exquisite color, weighing 3.62 carats. 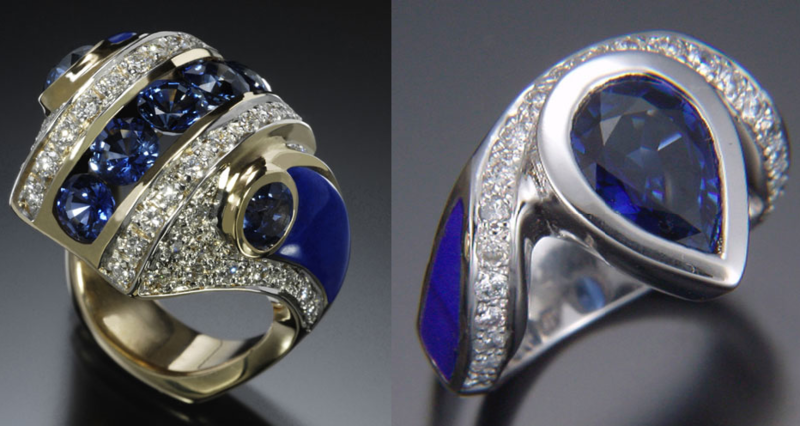 Set to the centre with an oval sapphire, the mount set with demi-lune and brilliant-cut diamonds, size 531/2, signed Bulgari. This magnificent 14k white gold ring boasts an openwork grid design studded with alternating round diamonds and vibrant blue sapphires. Shimmering diamond halos also encircle each September birthstone. Polish off any look with this graphic fashion ring.